ABU admission requirements – ABU post utme screening requirements 2019/2020, ABU direct entry requirements, This is the official Ahmadu Bello University (ABU) entry requirements for the 2019/2020 academic session. The management of the Ahmadu Bello University (ABU) has released the Undergraduate, Post UTME, Direct Entry, Diploma, Postgraduate, Distance Education, Remedial, JUPEB, Part Time Programmes admission entry and screening requirements for the 2019/2020 academic session. Candidates should adhere to the admission criteria thus fulfilling the admission entry requirements before he/she gain admission to study any course offered in the institution. NOTE: This ABU admission entry requirements below DOESN’T include postgraduate, JUPEB, and other programmes, It’s specifically for UTME candidates. However, If you want us to help you send any program admission requirements, Just COMMENT below with your email and also LIKE OUR FACEBOOK PAGE and we will respond as soon as possible. Candidates must possess a minimum of 5 credit passes in relevant subjects which must include English Language and mathematics at GCE O’Level, WASCE, SSCE, NECO or approved equivalents at not more than 2 sittings. Candidates with Teachers Grade II (TC II) with passes at credit or merit levels in conjunction with credit passes in relevant subjects at GCE, WASCE, SSCE, NECO or approved equivalents may be considered. No subject may be counted at both TC II and GCE O/Level, WASCE, SSCE, NECO or approved equivalents. The candidate must make at least 200 pass mark in JAMB to qualify for internal screening by the Ahmadu Bello University. 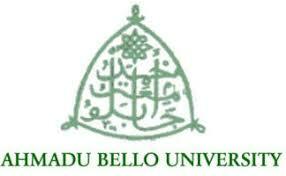 The Ahmadu Bello University holds her admission screening exercises within a week or a couple of weeks and it usually comes in two phases. Students who applied to study in the school are to proceed with the pre-screening exercise when once it is being announced. It is important that the candidate arrives early and locate his/her screening venue early. Candidates will be screened based on their JAMB scores and their SSCE result respectively. N/B: Cases of awaiting results will NOT be accepted at this stage. Certificate of Local Government of origin; and the notification of admission status [Admission Letter].